An increasing number of Americans are choosing to stay in their homes longer rather than move to retirement communities. That often requires making changes to their existing homes to ensure they can stay in their homes safely and comfortably. Let’s look at some remodeling plans to help you age in place. There are two parts of planning to make your home safe and comfortable. One is the overall design of your home—the big picture if you will. This can involve some structural changes that allow you to essentially live on a single level (at least for most daily activities). 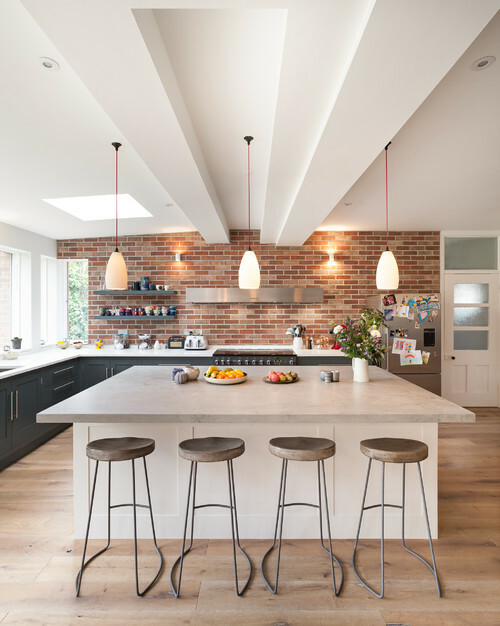 It might incorporate shifting to an open plan design that makes it easier to move from room to room (particularly from the kitchen to the dining room and to a family room. Then there are the details. 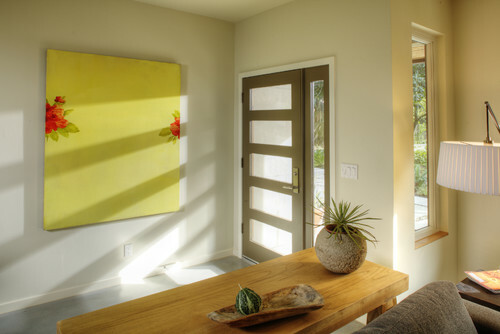 This refers to some of the specific features you may want to install in your home. Let's look a little closer at some of these details. In particular, we'll focus on two rooms that often get the most attention when it comes to aging in place (or Universal Design as it’s sometimes called). 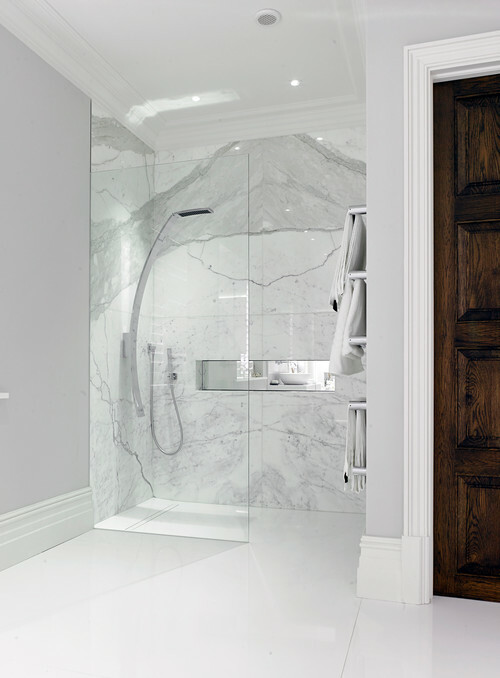 Not surprisingly, the two rooms that most homeowners (and remodelers) tackle most often are the bathroom and the kitchen. We’ll look at a few ideas in each of these rooms. Start with safe showers. You’ll want to think about installing “curbless” or “lipless” showers to eliminate tripping danger. Should the need arise for a walker or a wheelchair in the future these showers will remain accessible. On top of that, their clean lines make them look great. 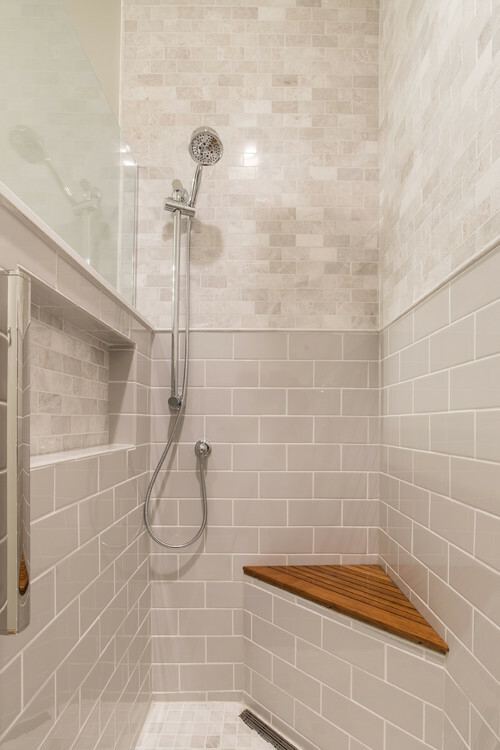 The photo you see here shows a “curbless” shower that also features a built-in bench as well as a hand-held showerhead (that complements the overhead fixture). Benches are another important element in universal design bathrooms. They allow you to sit while showering (if balance becomes an issue). Adding hand-held faucets makes it easier to shower while seated. The installation of grab bars adds another layer of safety and security to the shower. Fortunately, today’s grab bars often look elegant rather than purely functional—so you don’t have to sacrifice style for safety. Your kitchen is another area where you can add comfort, safety, and convenience. We've become accustomed to installing microwave ovens over our stoves. 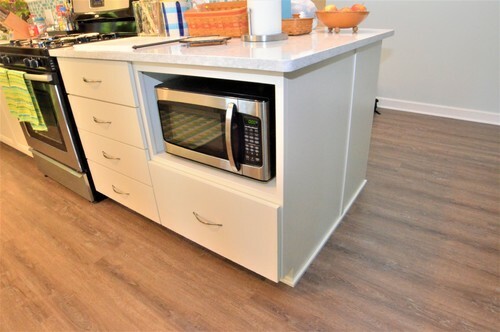 That level, however, isn't as comfortable (or safe) as we age, so consider relocating your microwave to a lower level (countertop or even built in below). If possible, you'll want to avoid having cabinets that are too high to reach easily. Instead, you may want to install lower cabinets that have pullout drawers (instead of shelving). These drawers make it much easier to access items at the back. And you'll be a lot more comfortable if you don't have to get down on your knees to see in the back of a lower level cabinet. Another kitchen feature you may want to change is your faucet. Lever faucets are easier to operate than conventional faucets. You can turn them on and off with one simple control lever. You may even want to think about installing a "touchless" faucet. Not only is it easier to control, but it's really handy when your hands are full or dirty from cooking. Beyond those things, you may want to consider creating work areas that you can easily use from a sitting position. And don’t forget to include adequate task lighting for areas where you do prep work. Photo by MAK Design + Build Inc. There are some other details you’ll want to think about throughout your house. Consider replacing traditional doorknobs with door levers. As with levered faucets, they are easier to operate—particularly if arthritis becomes an issue. Floor lighting for hallways and stairs adds a nice visual touch, but it's also a great safety feature. It's subtle and attractive and it can keep you and your guests from stumbling (regardless of age!). You can have these lights operate on a sensor that turns them on if it gets too dark—or one that is motion-activated. There are lots of little touches you can add to make your home safer and more comfortable. The National Association of Home Builders has prepared their own “Aging-in-Place Remodeling Checklist” that covers many of the things you should consider as you look to make your DeKalb home safe and comfortable as you mature.